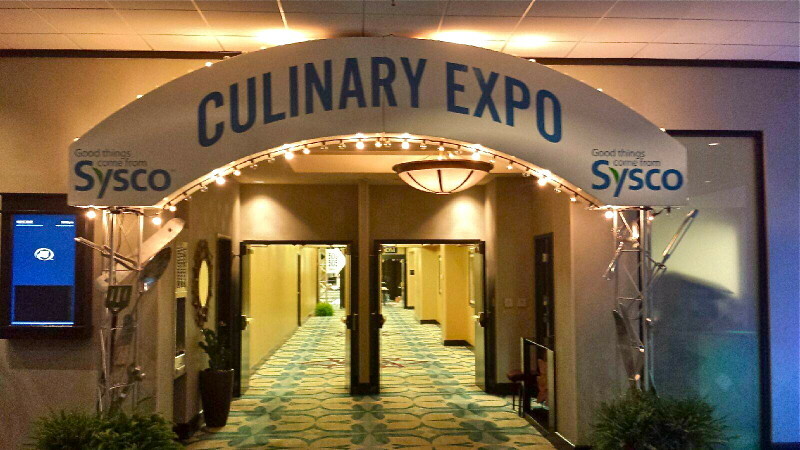 MKE had the privilege of providing décor for the infamous Sysco West Coast Culinary Expo, held at the Downtown Tampa Hilton this year. The show entailed exquisite cuisines, an assortment of restaurant products and foods, and tutorials and demos for cooking techniques. 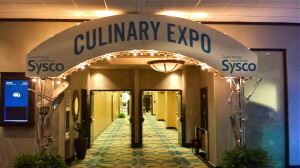 For the food show we provided an incredible archway entry at 14’ w and 13’ h that highlighted the Sysco brand, with chase lights. 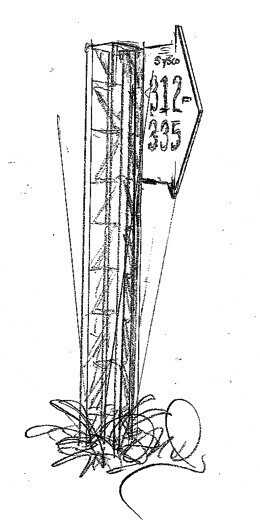 For an extra accessory, we added over-sized silverware including spoons, spatulas, forks, and knives to each truss tower. 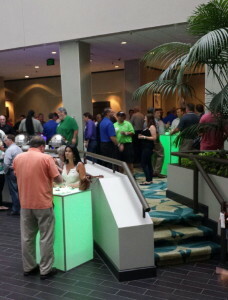 So as attendees entered the expo, they knew tons of sizzling steamy food and fun awaited them. Additionally, to help direct attendees to their favorite booths and vendors, we created custom aisle markers. 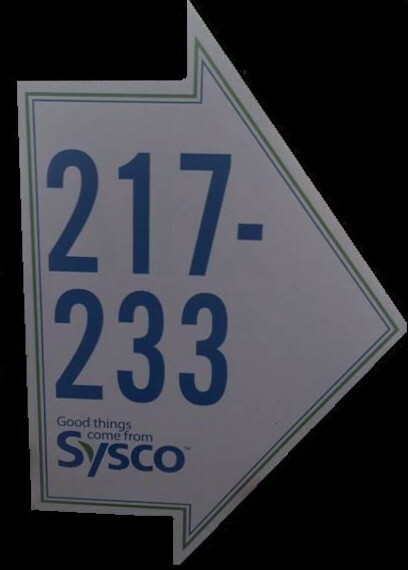 These markers resembled ones you would see at a typical tradeshow, but instead we artistically created elongated arrows in the Sysco colors that were supported by an aluminum box truss, with foliage and LED lighting at the base. 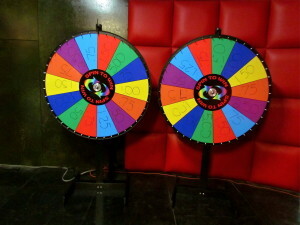 Attendees could participate with the Spin-n-Win wheel, which featured an opportunity to win specialty pricing on certain Sysco products. This was very entertaining for attendees, because not only were they scoring great deals, but they also got to enjoy some tasty food. 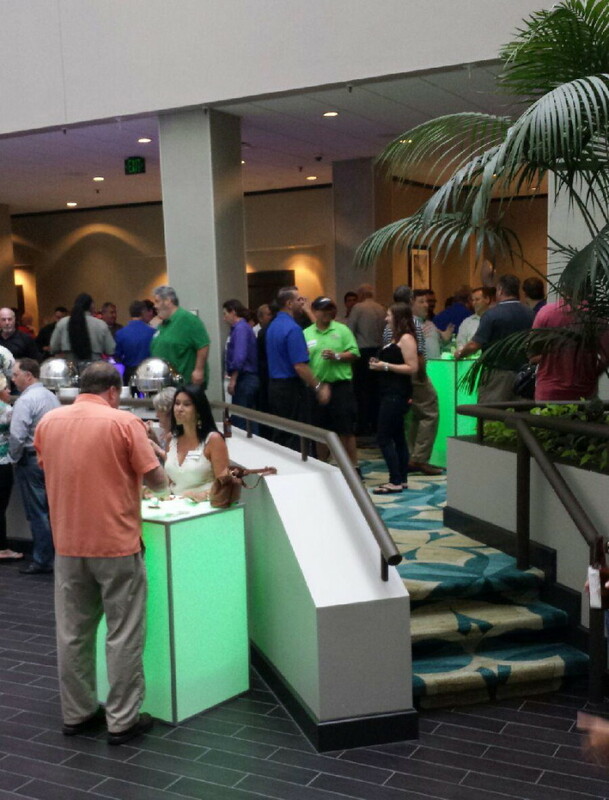 Also for a highlighted touch, Sysco used our glow hi-boys for the following nights reception so that attendees could enjoy great food and network among the vendors and attendees. 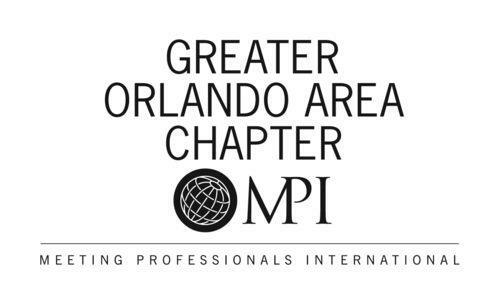 If you are interested in learning more about the decor, please contact our sales team!